One more day until the three-day weekend. But it’s a working weekend for me. If your kids want to take up a musical instrument, have them play trumpet or trombone. That way, they’ll always have at least two gigs a year on Easter and Christmas. 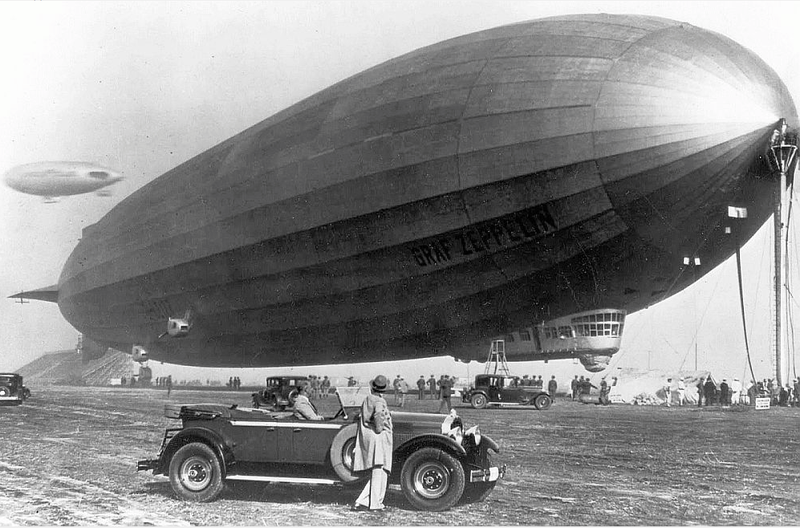 The Graf Zeppelin (the first one, LZ 127) and a 1929 Packard. That looks like the Goodyear Blimp in the background. Goodyear launched its first blimp in 1925. Now, they are flying two semi-rigid airships, which are technically not blimps, but are still called blimps. Blimp.